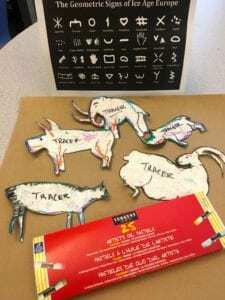 In Art Therapy this week we took it back, waaaaaay back to the Stone Age. 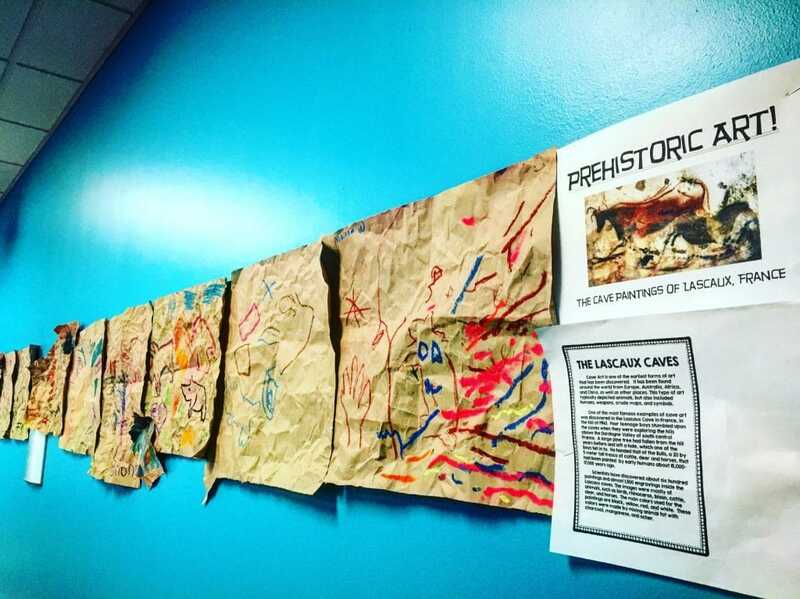 Our students learned about the famous cave paintings in Lascaux, and created some of their very own. 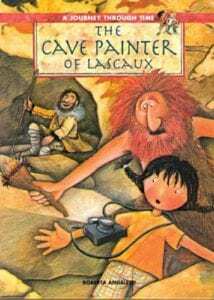 The cave paintings of Lascaux, France were discovered by 4 teenage boys and their dog in 1940. Most of the major images were painted using mineral pigments although some designs were incised into the stone. (We used oil pastels). There are 90 paintings of deer and cattle, bison, felines, a bird, a bear, a rhinoceros, and a human. Among the most famous images are four huge, black bulls in the Hall of the Bulls. One of the bulls is 17 feet long – the largest animal discovered so far in cave art! These paintings are thought to be between 17,000 and 20,000 years old, making them the oldest art form ever depicted. The “prehistoric animal” tracers are animals invented from Ms. Courtney’s imagination, not historically accurate. We used large sheets of brown paper. 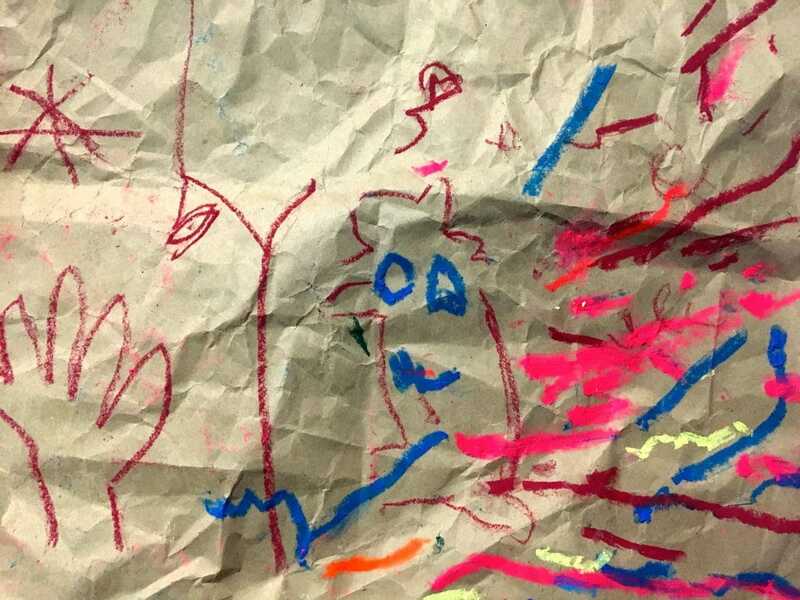 The most fun part of creating a cave painting is CRUMPLING up the paper to give it that cave-like texture. Everyone enjoyed that. 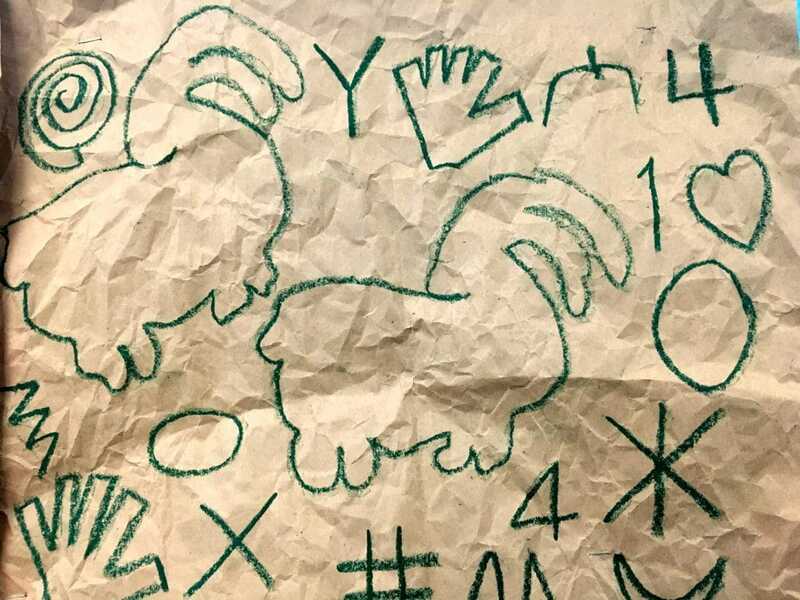 We looked at a chart of the most frequently used cave symbols and attempted to re-create those. 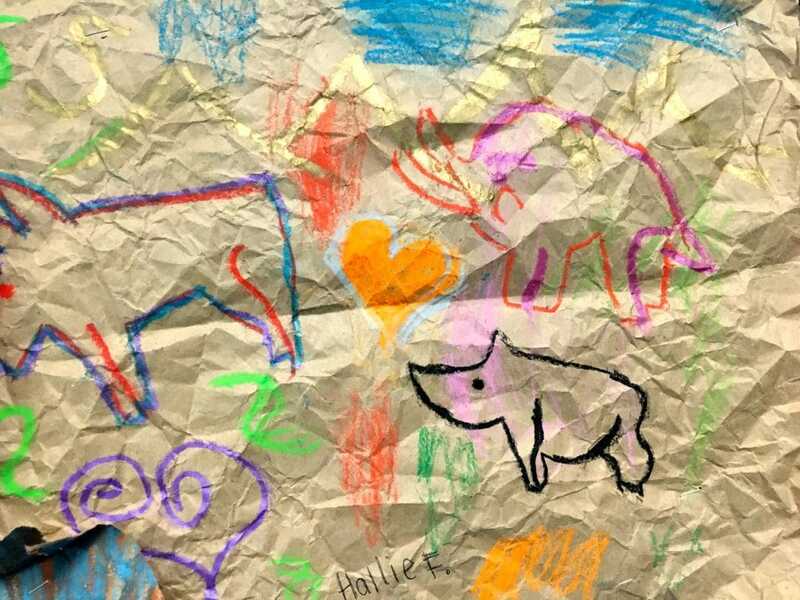 We also traced pre-historic animal shapes with oil pastels and smeared them to look just like the caves in Lascaux. Mr. M’s precise cave drawings. He likes numbers a lot too, so he added some of those. 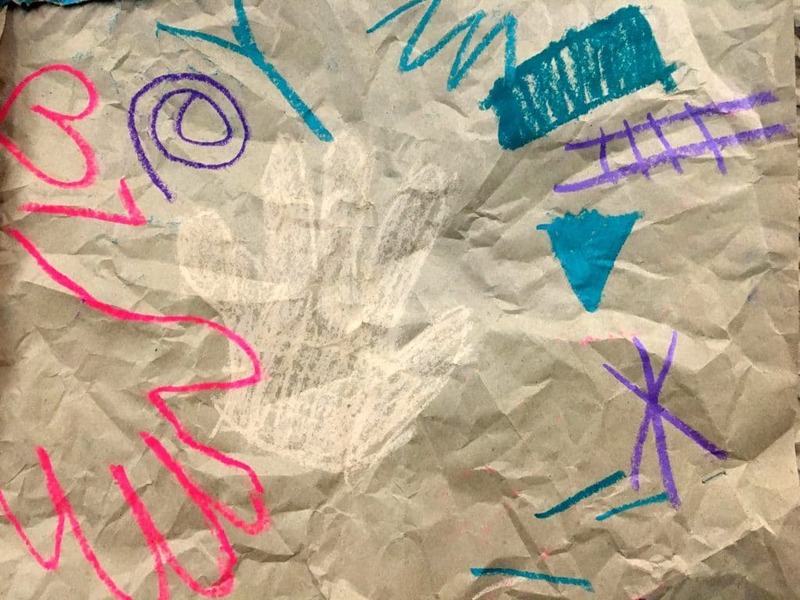 Some of us even traced our hands just like in some of the paintings in Lascaux. And some of us made our own unique designs, because that’s what art is all about! We even created our own cave in the fine arts hallway at Hope to display our awesome prehistoric artwork! We also colored The Flinstones coloring pages, because they’re a modern stone-age family. Haha.